I like to think I have a positive impact on people and circumstances I encounter everyday. It's hard to know, though, in the absence of any feedback. That's why I look for tangible evidence of my impact. Consider the image below. 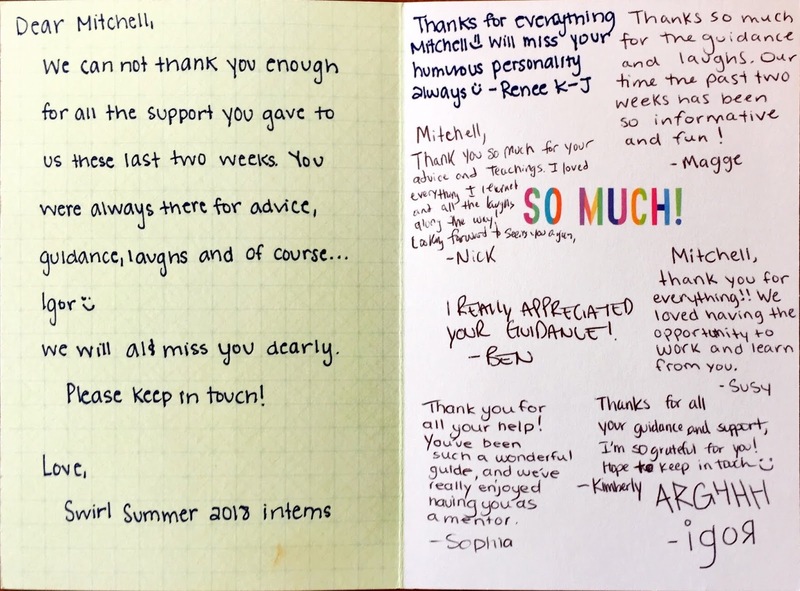 It's the scan of a card I received from interns at San Francisco change agency swirl | mcgarrybowen. 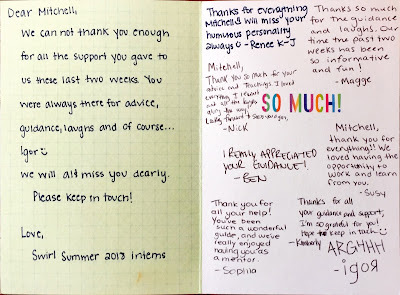 The firm had hired me to facilitate their intern's capstone experience. I love this card. I've saved it in a binder, with other cards and momentos I've received over the years. Collectively, these items add up to a repository of words and pages. They testify to the impact I've had on others. I can look at it anytime to gain nourishment and inspiration. That's especially vital on days where I may wonder about the difference I make. I cherish such evidence of my impact. It keeps me going, striving ever to do greater things.